Adding Oracle BPM 11g (BPMN 2.0) to procper’s long list of supported process formats is another step in supporting enterprise modeling tools, and especially those that are used for driving executable processes. Oracle’s BPM 11g offering is exciting as a large player that is truly executing BPMN processes natively. No more need to syncronize with BPEL or perform exporting, importing, or round-tripping. As you begin modeling in JDeveloper, you can leverage procper to support a central, navigable business process repository. 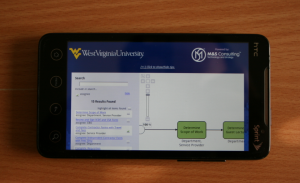 We are excited to announce that procper is now supported on mobile devices running Google Android 2.2. Apple iPhone and iPad are next! We have decided to begin supporting EPC models. procper’s revlutionary process visualization is built in a completely modular fashion, allowing support for any number of process modeling standards. We are proud to announce support for EPC modeling using IDS Scheer’s ARIS product. Who Said Processes Are Only For Enterprises? An important part of the process revolution we are leading here at procper is making it so easy to work with processes that their broad use will proliferate to small business and even individuals. Our thoughts are in the form of process, so I proclaim now that we should communicate and articulate them as processes. procper makes this possible, easy, and fun. While we are still in stealth mode, contact us to find out how. Yes, our tagline is unique and many people ask us what “process visualization” means. We chose these specific words because, in its most basic and awe-inspiring form, procper presents a brand new way to visualize process information. Process visualization can be interpreted as meaning many things, but one tangential reference we find particularly relavent is for “flow visualization”. As described in Wikipedia, “flow visualization is the art of making flow patterns visible.” Though this is a term meant for fluid dynamics, the concept is really similar to what we are doing with procper. By presenting processes in an amazingly intuitive fashion, we are making [work]flow or business process patterns visible. In turn, individuals and organizations can make better business decisions. Contact us using the form to your left if you would like to learn more. Of course, as varied as they may be, there are reasons organizations are succumbing to “BPEL for modeling”. In this article, I have provided a couple of contributing factors and misconceptions that I have witnessed. 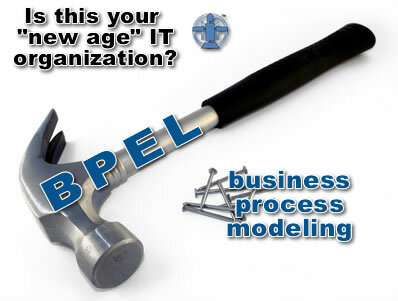 The fact remains that BPEL is a business process execution language, not a modeling language. Not surprisingly, using it for modeling has serious implications. But, if you are stuck with BPEL for modeling processes, procper is the only tool that will allow the business to wrap their arms around the processes you have modeled. We haven’t seen technology being used in government quite like this before. President Obama has stood up a web site called Recovery.gov where he reiterates the importance of efficiency, accountability, and transparency as we get through the current economic crisis and begin to reshape a new America. Welcome to a new age. Obama’s unprecidented approach using technology simply cannot be reversed. As the American public tastes this new, transparent process for government and information, it will simply not accept any sort of rescission. Not from this administration nor any in the future. Which BPMN elements do you actually use? The research Michael zur Muehlen conducted and presented in “How much BPMN do you need?” validates my practical experience: “the average BPMN model uses less than 20% of the available vocabulary”. Some might argue that this is a “bad thing”, but I suggest otherwise.